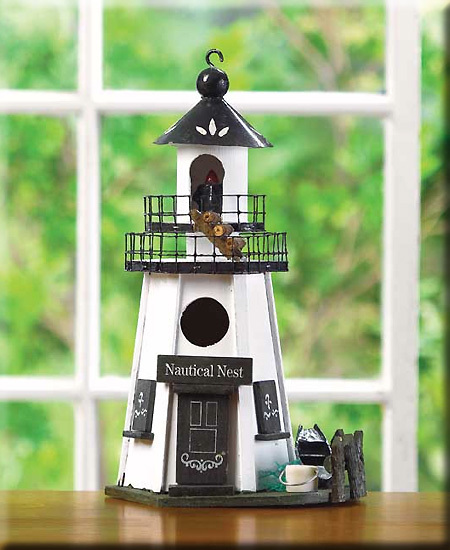 Stock# - 31245 Bass Lake Birdhouse - Multilevel Bass Lake Lodge sports fishing theme accents reminiscent of a lakeside retreat. 8" x 5 3/4" x 10 1/4" high. 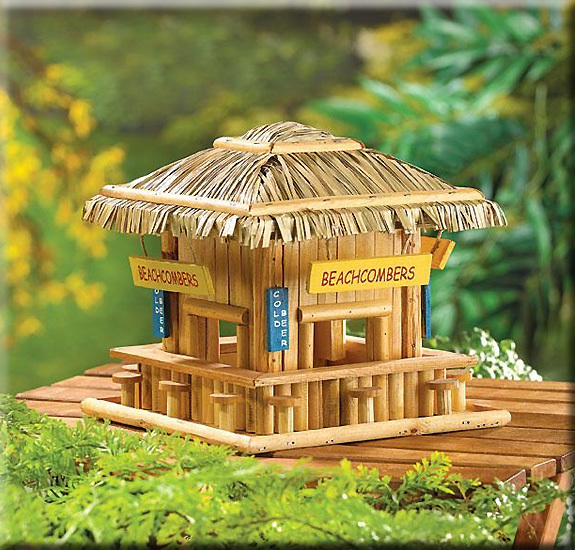 Stock# - 34715 Wood Beachcomber s Birdhouse - Wood Beachcombers birdhouse. 8 1/4" x 8 1/4" x 7 3/4" high. 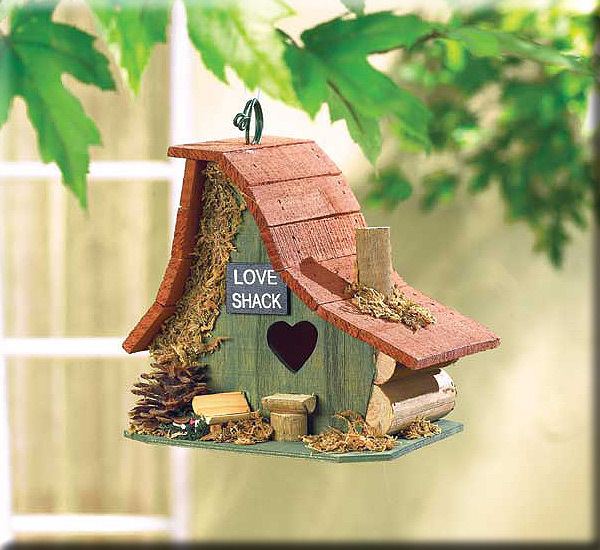 Stock# - 29634 The heart-shaped door gives it away: This is a little "Love Shack"! Amusing asymmetrical architecture is trimmed with forest treasures. 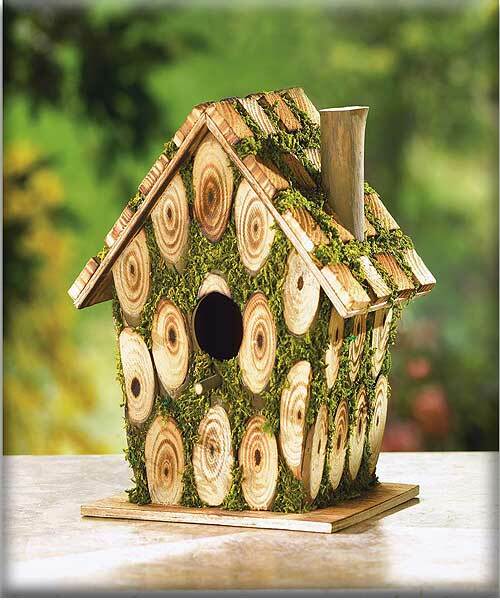 Includes a clean out hole at back of birdhouse. 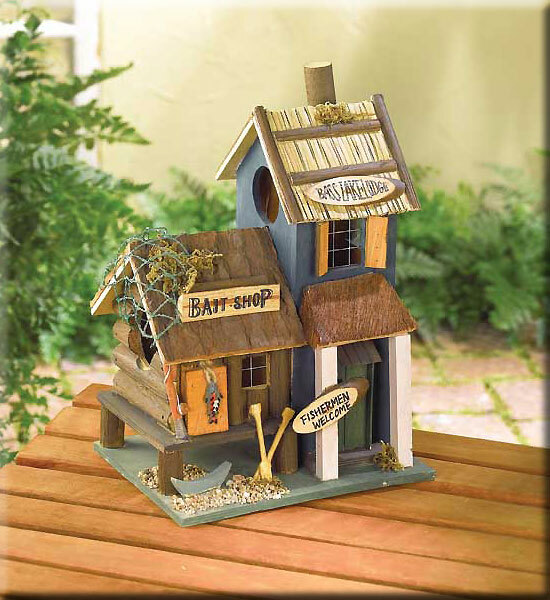 Stock# - 37921 Moss Edged Birdhouse - This is "knot" your ordinary birdhouse! Charmingly constructed of bits of knotty wood and richly trimmed with bright green faux-moss, this crafty little cottage brings whimsical homespun fun to your garden. Wood. 7 1/2" x 5 3/8" x 8" high. Stock# - 39202 A Woman's Prayer Oil Warmer - A trio of women bow their heads in reverent reflection, offering up a heartfelt prayer of gratitude and joy. From within the heart of their circle, a glowing votive gently warms a pool of aromatic oil on the transparent plate above. 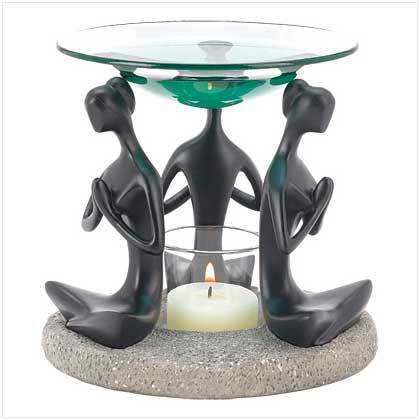 An elegant decoration that inspires a feeling of serenity! Stone, resin and glass. Candle and oil not included. 5 1/4" diameter x 4 3/4" high.